Which impact has plant breeding had on the resilience and productivity of winter wheat production systems in Germany? We recently joined the research consortia Breeding Innovations in Wheat for Resilient Cropping Systems (BRIWECS) which tackles this research question. Several university departments of disciplines ranging from plant breeding to agricultural economics are involved in the BRIWECS project. In the face of climate change impacts (e.g. higher probability of heat spells and drought periods), and agricultural and consumer policy changes (e.g. agricultural intensification, increase of organic production etc. ), this consortium is looking at how breeding innovations can contribute to more resilient cropping systems for the future. More specifically, BRIWECS will investigate the changes in winter wheat production (concerning yield, quality, plant health and other agronomic parameters) induced by plant breeding over the last 50 years. Field experiments have been carried out at several locations in Germany, with the 220 wheat genotypes comprised in the experiments representing the most commercially used and scientifically interesting wheat varieties of the past 50 years. An integral part of the project is the analysis of how winter wheat traits changed over time, and to detect the genetic basis of these changes. To support future breeding efforts directed towards more resilient production systems, special attention is given to conducive traits and combinations thereof. The work of HFFA Research concentrates on the agricultural economic and environmental economic analysis of the breeder’s exemption (in German: “Züchterprivileg” or “Züchtervorbehalt”). This exemption ensures that breeders can freely use licensed varieties as a basis for their breeding activities with or without the permission of the specific licence holder and without any fees. The breeder’s exemption was installed to trigger a faster development of improved varieties. 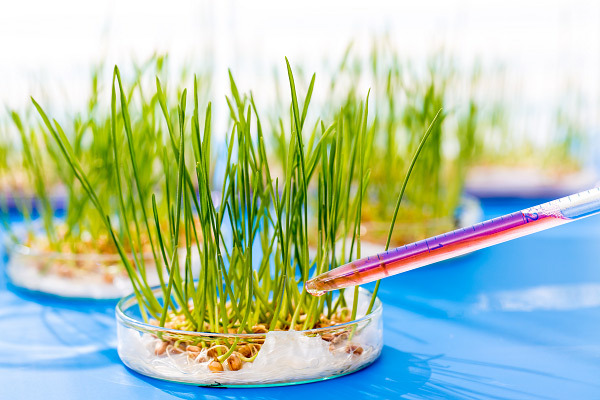 Therefore, we analyze the field experiment data to detect differences in varieties which were developed with and without making use of the breeder’s exemption. In other words, we investigate if a variety whose pedigree is completely from the same breeding institution is different from varieties whose pedigree consists of varieties from other breeding houses. We analyze the economic impacts at the farm level and the overall sector level. This is complemented by calculating regional and global food security indicators as well as providing indicators which measure the environmental impacts on greenhouse gas emissions, biodiversity, etc. For more information on this project, please have a look at the BRIWECS website, or contact us directly.